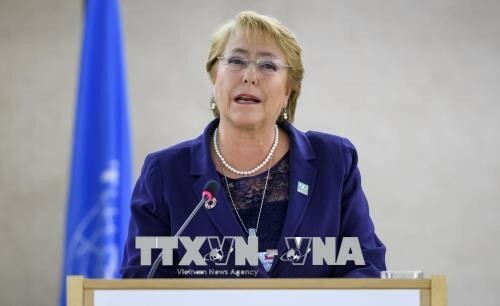 (VOVWORLD) - The UN General Assembly approved on Friday the appointment of former Chilean President Michelle Bachelet as the world body’s new human rights chief. UN Secretary General Antonio Guterres announced the appointment of Bachelet on Wednesday. She will replace Jordan’s Zeid Ra’ad al-Hussein, who is stepping down at the end of the month after a four-year term in the Geneva-based job. Bachelet is the first female leader in Chile. She served as Chilean president from 2006 to 2010 and from 2014 to March this year. She led UN Women, which supports gender equality and the empowerment of women, between 2010 and 2013.